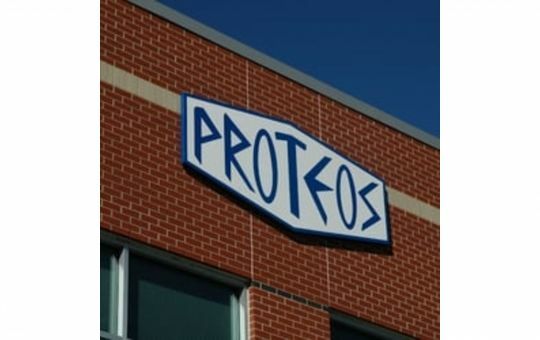 Reflection on Proteos' History | Proteos, Inc.
Proteos is rapidly approaching the celebration of 15 years in business. We understand what a milestone this is for our company and we are grateful to our customers who have made it possible. Our team’s dedication to providing high-quality reagents enables our customers to perform quality drug discovery research. In this first of a two-part blog series, we want to take a moment to reflect on the founding of Proteos. In the following few paragraphs, Proteos co-founder, Robert Heinrikson, PhD, graciously provides a historical perspective for our company. When Pfizer shut down human R&D in Kalamazoo, hundreds of scientists were left to decide among options for their future. Some elected to stay with Pfizer and relocated to facilities in Ann Arbor, St. Louis, or Connecticut; others saw this as an opportunity to pursue start-up companies grounded in their particular line of expertise in the pharmaceutical industry. As it so happened, the stage was set to facilitate these entrepreneurial aspirations right here in Kalamazoo. It seemed that city leaders had anticipated the huge layoffs at Pharmacia and were dedicated to help the displaced scientists overcome the financial hurdles in a start-up enterprise. Clark Smith, PhD, and I had worked together from early days at Upjohn. We were not only good friends but fellow scientists in protein and peptide chemistry. Clark’s expertise in peptide chemistry and in management of business operations fit nicely with mine in protein science, so the combination of our talents seemed to provide a reasonable basis for a protein company start-up. Perhaps more important, we had a talent pool of friends and colleagues with whom we had done great science for nearly 20 years who wanted to continue to work and were happy to join us in this venture! So, we had a cadre of very talented and hard-working scientists from which to choose, ready and willing to work for their own company. But what about the harsh realities of a start-up company in the sciences: lab space, equipment, money for supplies? The Southwest Michigan Innovation Center (SMIC) had space for 10-20 start-up companies, and as new occupants, we were simply asked, how many labs will you need? We were then allowed to design and furnish our labs in accord with our science. So, here we were in 2003 with the freedom to put our talents toward making Proteos profitable by building and establishing new collaborative relationships with colleagues in other pharmaceutical companies. I’m pleased to see the progress Proteos has made, and continues to make after 15 years in business, and am proud to note that we are providing meaningful employment to our staff.